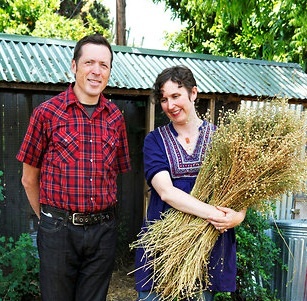 Today’s New York Times Home & Garden section features a major profile of The Urban Homestead authors Kelly Coyne and Erik Knutzen. Check out the article here, and the slideshow with pictures of their bungalow. You can read all about their do-it-yourself lifestyle, and how to avoid the “lentils and gloom” mentality.